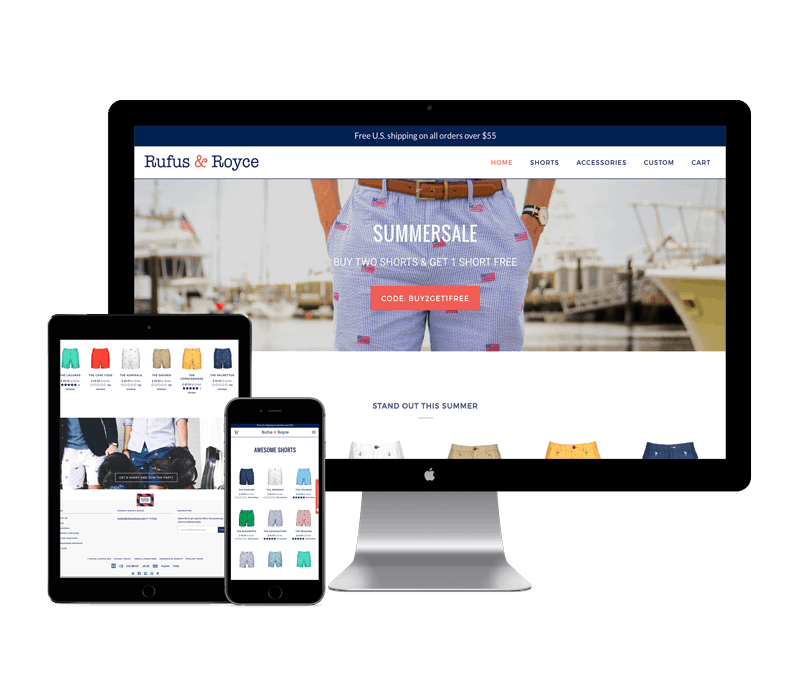 To take Rufus & Royce, a male focused american apparel line form a few hundred in online sales a day to thousands of dollars a day using paid media on tight profit margins and stock limitations. Utilize retention, tracking and acquisition Shopify apps to improve the foundations of the website. Then expand into dynamic product ads and target specific groups of Facebook users who align and resinate with the brands messaging. Serving ads with in stock product to remarked audiences was a key success factor so the use of a data feed and dynamic products delivered the lowest CPA’s. Auditing the previous pixel and tracking set up lead to the discovery of inaccurate date and deflated CPA’s. We fixed this and social ads became profitable again. It was important that we found the right creative, text and landing page that drove conversions so we conducted MVT consisting of 200+ ads in Facebook campaigns to find the winning combos. This client’s social strategy was completely turned around from incorrect tracking and running at a loss, to increasing revenue 2-3x on Facebook. Leveraging ad Multi Variant Testing (MVT) and dynamic product ads were key success components in this project.